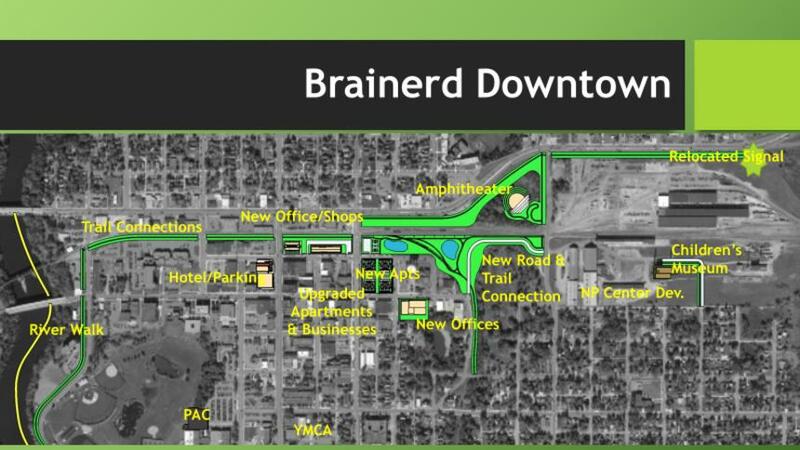 An idea to revitalize Brainerd focuses on building up downtown Brainerd and surrounding area by adding mixed-use development, trails and renovating existing buildings. 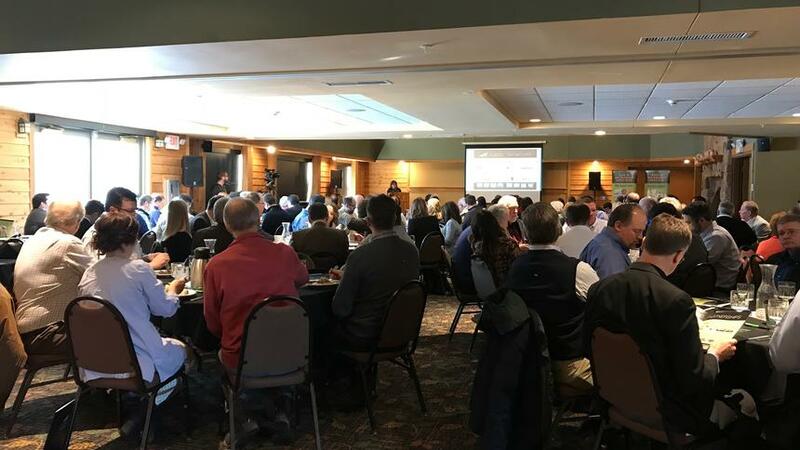 The River to Rail initiative, spearheaded by Bruce Buxton and the Brainerd Lakes Area Economic Development Corporation, focuses on imaginative ideas to revitalize downtown Brainerd. Monday, Buxton presented the initiative to the Brainerd City Council during a work session. He was joined in the packed council chambers by more than 30 community members offering their support of the idea. Despite being the initiative spokesperson Monday night, Buxton deferred much of the credit for River to Rail to various public and private groups already investing in downtown Brainerd. 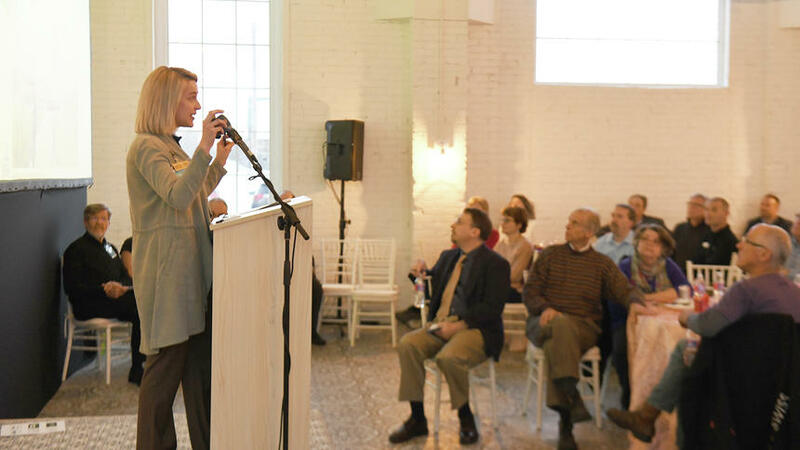 He mentioned Nick and Joe Phelps, who are renovating a pair of buildings on the 700 block of Laurel Street; Sarah Hayden Shaw and Ed Shaw, who are renovating the former Blue Ox Bar on Laurel Street; and the Destination Downtown Business Challenge. Thanks to a career at Widseth Smith Nolting, Buxton said he was able to get the firm to design some concepts for downtown redevelopment. These concepts include new office and retail space, new apartments, road and trail connections and an amphitheater in a lowland area across Washington Street from the Franklin Arts Center. “Just lots of ideas to say, ‘What if? '” Buxton said. All the concepts are just ideas at this point, Buxton said, and nothing is set in stone. He compared it to a jigsaw puzzle, in that developments can be moved around to fit in the right spot. One conceptual idea is a parking ramp on the site of the Brainerd City Hall parking lot, at the corner of Laurel and South Sixth streets. Buxton has heard both sides of the parking ramp argument, he said. One side says a parking ramp isn’t needed, he said, while the other side says there’s a parking problem in downtown Brainerd. But if downtown is filled in and developed, he said, there will be a shortage of parking. These ideas will work only if they are market-driven, private investments, Buxton said, with some public support. Public and private groups must work together and compromise, he said, for the good of future generations. Big projects won’t happen first, Buxton said. Instead, groups should focus on smaller, simpler projects. If enough smaller projects succeed, the success will entice investment in large projects, he said. Some small projects include cosmetic changes like murals, landscaping and regular maintenance. “I think if everybody spent a little bit of time just looking at the small things, it would look a lot better,” Buxton said. Many of the buildings in downtown Brainerd, despite some being nearly 100 years old, still have good bones and foundations, Buxton said. With a facelift and structural changes where necessary, he said, these buildings can be restored to their former glory. A vibrant, thriving downtown provides an increased tax base, more revenue for business owners and better living opportunities for residents, Buxton said. The next step for the River to Rail initiative is to create a team to further develop the vision, Buxton said. He compared this team to the task force formed after the paper mill in northeast Brainerd closed, to determine what to do with the vacant site. The vision should fit into the city’s comprehensive plan, which is just starting its planning process. Buxton asked the council to provide proactive support for the initiative and to be a cooperative partner when renovations are proposed for existing buildings. North Brainerd resident Pam O’Rourke said she remembered the thriving, vibrant downtown Brainerd from the past. It’s been hard to see downtown decline, she said, but she hopes things will bounce back. She asked the council to be part of the conversation. “Without the government involved, I just don’t see it moving forward into realizing anywhere near its potential,” O’Rourke said. Matt Kilian, president of the Brainerd Lakes Chamber of Commerce, said he’s a big believer in striking while the iron is hot. He asked the council to consider focusing on downtown revitalization in the upcoming comprehensive planning process. “I really believe that the community at large need to know that this is a priority for this city council,” Kilian said. Hara Charlier, Central Lakes College president, said work like the Shaws are doing to the former Blue Ox Bar will inspire everyone else. The thousands of students who study at CLC never think about going downtown, she said, and that needs to change. Those students want to be connected to the community, she said, and bringing them into downtown helps accomplish that. Matt Seymour, who owns several gas stations in the Brainerd area, said it’s critical to think about why there is a need for River to Rail. If the community wants to thrive today and in the future, he said, this needs to happen. Jeff Wig, vice president for economic and organizational development for the Initiative Foundation, said when he travels in the region and talks to people in different cities, they all talk about the positive attributes in their communities. But what attracts businesses is the tone and the attitude in the community, he said. Changing the attitude about downtown Brainerd is going to be a critical part of River to Rail, he said. As an elected body, the council can’t do much to affect the level of change in the River to Rail initiative, council member Sue Hilgart said, because of the focus on everyday government. But the council can be involved as a partner on the project, she said. There are small things the city can do right away, council member Gabe Johnson said, like staying on top of maintenance in public rights of way in downtown. “I think the city has a role to play right now, more than just being excited about the future potential of what downtown could be,” Johnson said. Buxton expects to be in front of the council again in the near future to ask for support, he said. He asked the council to think about ways to say “yes” to ideas, instead of denying them. 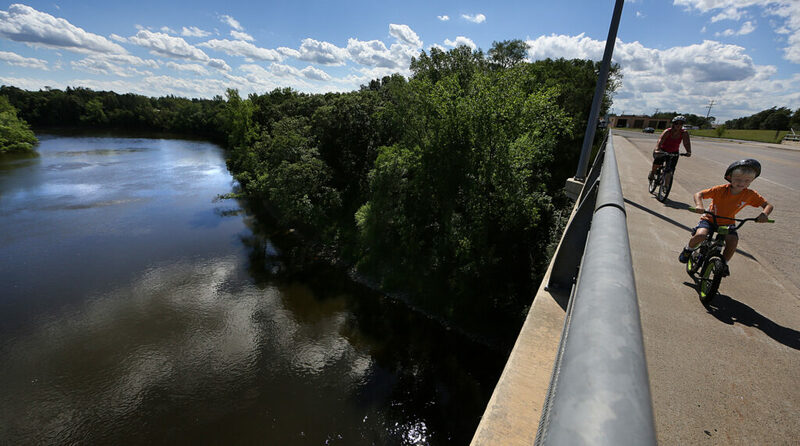 The council on Tuesday will take action on a resolution stating the River to Rail vision aligns with the council’s vision of developing downtown Brainerd.